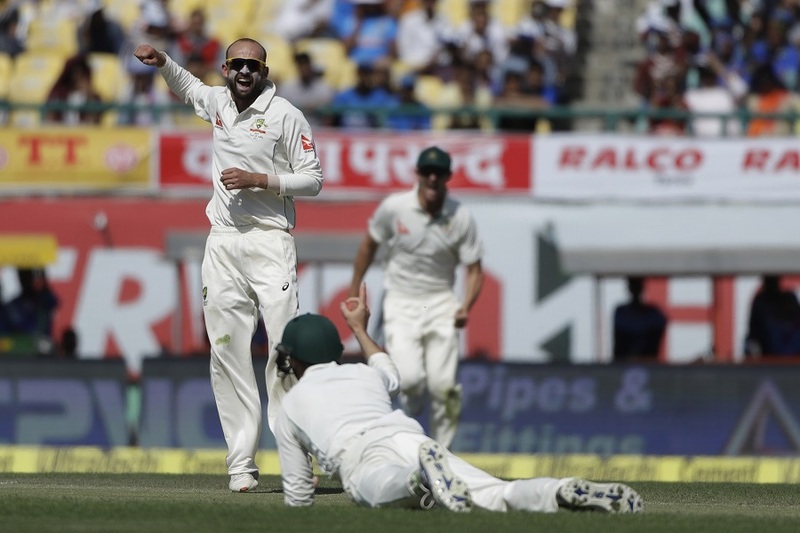 Australia spinner Nathan Lyon has become the fourth most successful Test bowler for Australia after taking four wickets in six balls during the opening session of the ongoing second Test against Pakistan in Abu Dhabi. Opting to bat first, Pakistan were off to a poor start. Mohammad Hafeez, who had scored a century in the last match, was sent back by Mitchell Starc for just 4. Debutant Fakhar Zaman and Azhar Ali then steadied the ship and took the score past the 50-run mark before Lyon ran riot. After bowling three straight maiden overs, the off-spinner ripped through Pakistan’s batting line-up, removing Ali (15), Haris Sohail (0), Asad Shafiq (0) and Babar Azam (0) in quick succession to reduce Pakistan to 57 for 5 from 57 for 1. And when he dismissed Babar Azam to pick up his fourth wicket in on the sixth ball, he moved past Mitchell Johnson’s mark of 313 Test wickets. He is now behind Shane Warne (708), Glenn McGrath (563) and Dennis Lillee (355) in Australia’s all-time list of Test wickets. Lyon also holds the record of most wickets in Tests by an Australian off-spinner. The latest show has further enhanced Lyon’s reputation as one of the best spinners in the world right now. The performance is also another display of how good a bowler he has become, considering his early struggles in Asia. 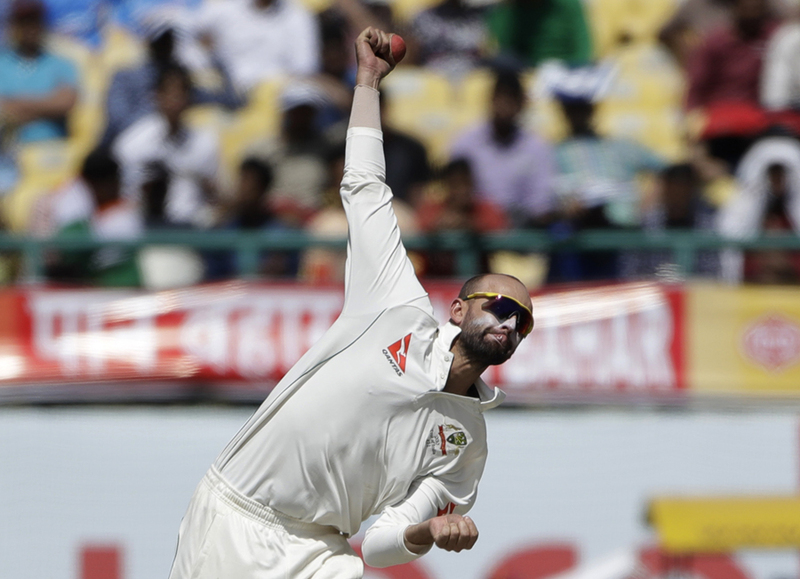 In his last eight Tests in Asia (including the 4-wicket haul), Lyon has picked up an incredible 49 wickets at 19.97. The performance is a stark contrast to his performance against Pakistan four years ago. On their last tour of UAE, Australia went down 2-0 to Pakistan. Lyon, on his part, managed just three wickets at an average of 141. But things have changed in the last couple of years. Last year, he took as many as 41 wickets in just 6 Tests during the tour of India and Bangladesh.